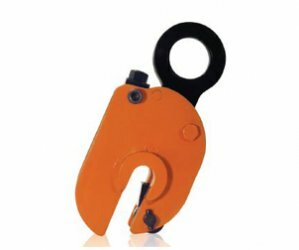 Renfroe Model NM clamp (non-marring) is manufactured with smooth gripping surfaces to prevent marring when gripping stainless steel, copper, aluminum and other polished metal plates. 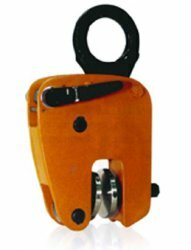 Due to the variety of conditions that may exist in handling these plates, it is recommended that these clamps be used in pairs and attached to a chain or wire rope sling, supported by a spreader beam. 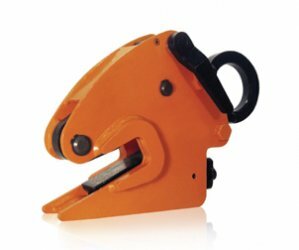 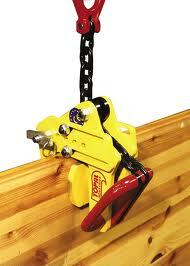 The Model NM is supplied with stainless steel gripping surfaces and is available with steel or bronze upon request. 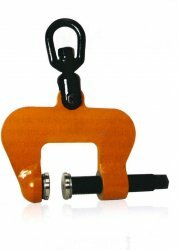 The model NM is not intended for use in transportation of plates using mobile equipment where shocking of the load may occur.